Fearless Red | A little bit of everything. The first 48: Vienna, Austria. I Am Canadian: I Speak Out About What Matters To Me… And So Should You. Finding your Flair – What makes you stand out. My expression of excitement to be in Ottawa is one thing, but the joy I felt toward spending the majority of a day on Canada’s Parliament Hill was on a whole other level. During secondary school travels I’d learned to appreciate Canadian culture and to know when i’m in the presence of outstanding architectural beauty. However, nothing could’ve surprised me more than what magic was contained between the walls of Parliament’s Centre Block. Two days prior to my adventures inside Parliament, I’d had the opportunity express the ouus and ahhs while wandering the grounds of the hill. Perhaps it was naive to expect its outside appearance was as good as it gets. Not unlike many of my social encounters… I immediately flirted with the doorman. He’d whole-heartedly greeted me to Canada’s Parliament, at last. Much to my credit, I cheekily exclaimed he had won the Movember competition. Looking back his moustache was comparable to that of a young Albert Einstein. Without the salt ‘n pepper highlights of course. Thanks to a new friend of mine, I had front row seats during Question Period that afternoon – sitting directly across from the current Conservative Government. I could not help but notice that two prominent members i’d had the opportunity to work with this past summer… had not come up for air from their cell phones more than twice during the entire QP session. Let’s just say the PR practitioner inside of me was shaking her head with disapproval. Still on cloud nine from the reality of being present during QP, I continued on my way to join the 3:20pm ‘behind the scenes’ tour of Parliament. My tour guide, also known as Adam, resembled a younger, taller Justin Trudeau. The only thing he lacked was JT’s confident way. Without detailing every single highlight of the tour, I’ll focus on my favourite. To no ones surprise, I am not a quiet person. In 9 of 10 situations I have a comment, concern or joke to add. Upon entering the automatic wooden doors of The Parliament Library… this appeared to not be the case. For once, completely speechless. Okay… prior to entering tour guide Adam had advised us the library was a ‘no-talking zone.’ But even so, I was lost for words. The library was the only place to remain intact after the fire of 1916. It is featured in the photo i’ve included above. In my last post labeled, “Our Nation’s Capital” I reflect on my illusions of entering Hogwarts while first wandering the yard of Parliament. Entering the library tripled the effect. Similar to Hogwarts, there was a restricted section. In this case the entire library was restricted. Aside from tours – the library is off limits to all who are not MP’s, staffers or other parliament staff. My hopes of live-tweeting QP were quickly destroyed when security took everything on my person. Including my belt, sunglasses and scarf. The silver-lining being that I was given the opportunity to walk the senate floor. You know I took a dozen pictures too. The elderly women quickly made jokes about the Senate being where the exchange of unkind words takes place. Clearly they had not attended QP in the House of Commons an hour earlier. When the tour had concluded I was left to wander on my own. I escaped to the Memorial Tower. A room where all of our deceased, brave, selfless Canadian Veterans, killed in the line-of-duty are named in handwritten books. I immediately had to know if my great-grand father was named, even though he’d fallen ill during the war and left as early as it began. Not to mention, he wasn’t quite of age to be there in the first place. It’s a weird urgency one feels when you have the chance to make something a more personal experience. Even if it is something as morbid as finding the name of a deceased family-member in a war memorial. When exiting the third floor, through barred windows – I had a secret view of the House of Commons lobby. I must admit, for a moment I imagined I was a Scottish diplomat or perhaps the Queen of England spying on the commonwealth who’d gathered to demand the grain and raw materials the state had long since promised them. Maybe I’ve watched The Duchess and The Other Boleyn Girl one too many times. I took my sweet, sweet time sauntering out of Parliament. I could not help but wonder if i’d missed something worth seeing. Okay… I went as far as to ask a parliament security guard if i’d missed anything. He rolled his eyes and said no. Not one bit jaded by his response i politely thanked everyone I crossed paths with – in hopes they’d remember me 5 years from now when I co-habited this building on a Monday-Friday 8-4 basis. It wouldn’t have been a complete visit to parliament if I didn’t take a selfie with the Peace Tower, so that is exactly what I did. The next day, my last day in Ottawa, I had to convince myself there was no need to re-visit the hill for a third time. I had taken even possible photo and seen everything I needed to see. Animal Rendering is a very real thing, blue bins, green bins & RED bins. Everyone just be just as conscious of what they put on their skin as what they put in the mouth. Ok so this post is not for those weak of heart, nor is it for animal lovers and those easily disgusted, therefore I’m rating this post with a Caution. 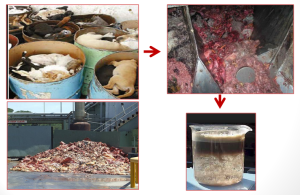 It’s basically a recycling program for things like, Road Kill, Euthnized Animals (Pets), Meat gone bad at grocery stores, diseased animals etc etc. Similiar to our Green Recycling bin for food but this one’s a Red Box instead. Basically all these are collected and used in the manufacture of personal care products. Arbonne Knocking.. product testing begins. It is no secret to my friends, family or anyone else that my face is comparable to that of a sixteen year old. Since my twelfth birthday, the odds have been against me. Not only do I have fair, freckled skin, it is sensitive and irritable to many consumer products. Having a boyish, athletic past left me unconcerned about my complexion well into my teens. I was the definition of pizza face, with pictures to prove it. At the age of 13, my family doctor decided to “solve” all my problems. Dr. busybody prescribed me to a pill called tetracycline. This magical drug would give me a clear complexion and boost my confidence. Hey, I even had a boy cry over me at a school dance, must have been the acne drug right? It was in a matter of weeks the side effects were not worth my porcelain complexion. – Withdrawals – When i missed a pill & stopped taking them completely. I was another teenager my family doctor threw prescriptions at, causing more harm than help. Take my advice, medicinal prescriptions are not worth the effort or suffering. Nearly 11 years later, we find me here, desperately seeking the clear, bright complexion every 20-something woman deserves. If you can think of a product, prescribed or over-the-counter, i’ve tried it. – Clinique, Clean&Clear, Olay, Quo, Dove etc. Everything from department store brands to pharmacy knock-offs. I was left with numerous, half-empty bottles, low funds and more acne then before. Not only do I lack a successful skin regiment; I frequently indulge in a bottle of wine, stress more than the average university student and cannot remember the last time I consumed three meals a day. Why me? I have numerous friends with similar habits and stresses – their faces matured and flawless. Now it’s my turn. Over coffee today, an acquaintance turned friend of mine introduced me to the world of Arbonne. Much to her fear, my immediate response was, “Umm, do you mean Avon?” Whoops. She stuck a bone inside me, an interest. So, naturally what did I do? I took home some samples from their face care line to try. She introduced me to the reality behind mineral-oli. (I dare you to look into how it is made and refined) The history of the business, her story and most importantly – presented me with the FC5 skincare line. Popular to contrary belief, I did not feel pressured to invest, purchase or commit after my saturday-afternoon coffee date. What presented itself was simply a three-day trial, catalogue of Arbonne products and a newly-formed friendship. For the next three-days I am going to fully commit to the proper, timely application of the FC5 line. Feeling extremely optimistic about the potential results. This evening I spent a fair amount of time researching Arbonne and their independent consultants across the country. I had difficultly coming across any negativity. Pyramid-scheme, green washing and money-grab have crossed my mind, shot down by fact and testimonials. Never in a million years did I expect to blog about beauty and skin care and here we are. What have I got to lose? This may be the skin regimen i’ve been searching for. More optimistically, my satisfaction with Arbonne products could blossom into something more. TED talks have and will continue to be a great source of info, advice and inspiration in my life. As 2013 draws to a close, TED is deeply humbled to have posted 1600+ talks , each representing an idea worth spreading. So which ideas have had the most widespread impact? Below, a look at the 20 most-watched talks as of December 2013. These viewership numbers include all the platforms we track: TED.com, YouTube, iTunes, embed and download, Hulu and more. 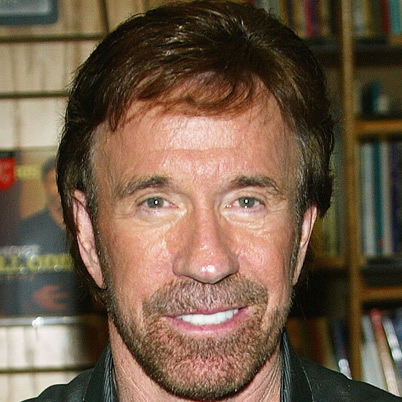 For nearly three-quarters of a century Chuck Norris has blessed the world with his humour, insight and killer smile. I wanted to recognize his date of birth as a way of giving thanks to the legend. University libraries: The land of real books. Ignorance is simply defined as: The lack of information or knowledge. Last week I found myself in the basement of the Mount Saint Vincent University Library, staring blankly at a shelf full of Edgar Allan Poe novels. I’m not talking about paperback novels, Circa 2006. These Poe books were aged, dusty hard covers, the real deal. For three consecutive days, I found myself parked in front of this same shelf. ‘The Raven’ title haunting me, begging to be loved. To outside observers, I appeared as nothing more than a confused peer. What was happening was so much more. Anything but confused, I opened the 1927 copy of ‘The Raven,’ simultaneously the walls of ignorance came crashing down around me. What caused so much emotion to come over me was not Poe, or his sadistic literature. It was that these art forms still existed, perfectly preserved for over three quarters of a century. I was exposed to these novels and many more on a weekly basis, never bothering to take the time and appreciate the history within them. 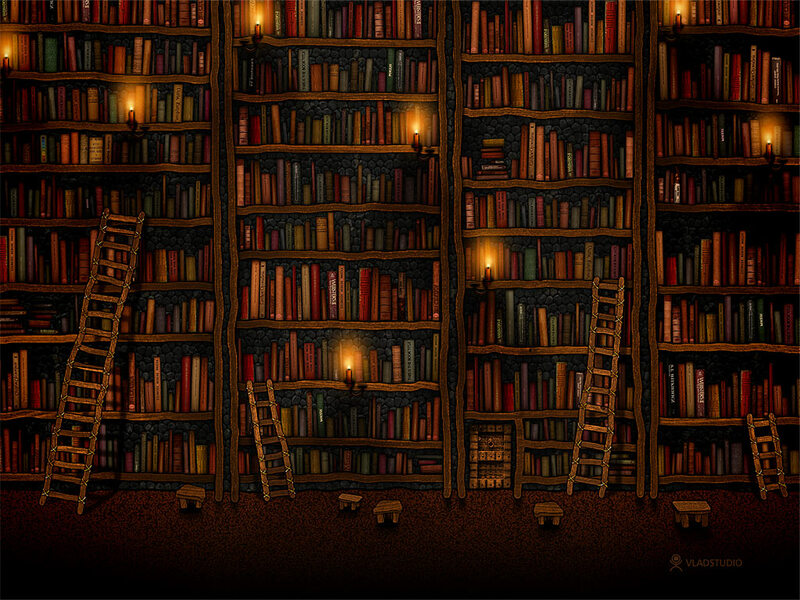 We have become the culture of the ‘E-Book.’ Privileged enough to access millions of novels and reference titles from the comfort of our own living room. I will admit I have written numerous essay and term papers in my university career without setting foot in a library. Until last week my sole use for the MSVU library being convenient printer access. This new found goldmine in my backyard inspired me to do something totally off the charts and kick-it old school. A week from now, I have a term paper due for my political science class. Our topic must relate politics and culture, the exact route entirely up to us. To no surprise of some, I chose to research and discuss the affect of Adolf Hitler and his nazi regime on german culture. With hopes of introducing myself to my university library I am going to conduct all necessary research and source collection right from the source. A fresh browser for my EBSCO search will not be necessary. Instead, I will spend my nose buried in books of german culture. Carefully selecting from 4+ jammed shelves of such information my university has, just waiting to be enjoyed. I recognize the irony that is an internet blogger preaching the importance of physical written art. It is not waisted on me. If I could take the written word and create it into an art form, much like Poe did I would gladly publish thousands of hard cover novels. Like many experiences lately, I have discover a sense of importance in this university function. The books it houses, the knowledgeable people it employs and the overall atmosphere it creates for those who take advantage of its services. I leave you with the question, when did you last check out a book from your local or university library? Jo-Lo may not be the next Gandhi or Mother Theresa, but if the secret to her success is an overall sense of balance, sign me up. What our elders failed to mention in their mid-afternoon lectures, taking place in the most inopportune of times was, balance. Coming from a household of divorce, I have seen first-hand the affects an unbalanced lifestyle has on a person. Unfortunately for my family, this unbalance played a factor in the heart-breaking end to my parent’s marriage. Before I start to feel nostalgic and post childhood photos, reminiscing on the “good old times,” let me present you with the textbook definition of balance. – an even distribution of weight enabling someone or something to remain upright and steady. – a condition in which different elements are equal or in the correct proportions. Since I want to lose weight not balance it, the first definition isn’t ideal. I am sad to admit that I have not mastered the art of alchemy either so I cannot do much with the second definition. What is your definition, image or idea of balance? Is it something that you work for in your own life? Or does it simply come naturally? – A harmonious collection of ones academics, career, friendship, self-care, love and fun, in such an order that they are evenly proportioned to best reflect ones ideal happiness and state-of-mind. Not bad hey? – I predict my job offer from Oxford Dictionary is on its way. It is one thing to put something in writing and so much more to take it in, start living it and make it a way of life. How do we go about finding our balance – Living life to the fullest? If you’re a “slacking” academic like me, for you this involves use of the 2014-2015 agenda your grandmother got your for Christmas; to keep track of reading and due dates. Setting a time every evening to review course materials and even starting papers and assignments long before they’re due. For those keeners, your balance may require putting down those textbooks and picking up a dusty copy of Cosmo or Men’s Health, enjoying a hot shower (university problems) and committing to an evening of mindless activity-watching family guy or a round of Cards Against Humanity. Regardless of where you work, part-time, full-time or otherwise, remember to leave it at the door. Enjoy the drive between work and home to unwind and check-out of work mode. Those of you juggling university life and a job, hang in there. Follow in my tracks and cut back the hours you work if at all possible. Yes, we need to eat, but 25-30 hours a week as a full-time student is too much. University’s say: to achieve their maximum potential, all student enrolled in 5 courses or more should not exceed a limit of 12 hours of work a week. For my friends reading this, I know you’re all laughing at the thought of me giving anything close to relationship advice must be a sick joke, but here goes nothing. Balancing your love life while in a steady relationship is pretty straightforward. Be yourself, don’t sweat the small stuff, take time away from one another and most importantly, never settle for anything less than butterflies. For those single bee’s, the best way to find balance is to realize that being alone really isn’t as bad as we once thought. Doing what we want, because we want to, is such a liberating feeling. Also, go on dates, its healthy, you meet new people and learn more about yourself and what you desire in a partner. In my humble opinion, what is the point of having a great job, hot boyfriend/girlfriend, all the friends in the world and a nice car if you haven’t found the best version of yourself to enjoy it? Being that it is 2014, I feel confident in my ability to use words like: mental health and live to tell the tale. Being in a state of good mental health is the icing on the cake of life. There is no shame in asking for help. You would be surprised of the resources available all around you. Attend that yoga class you’ve been hearing about, join the Monday night book club. Working towards the creation of a well rounded self sets you up for the ultimate success and happiness. As a rule of practicing what you preach, I have made it my objective to create a balanced, harmonious life full of fun, love, compassion and hard work. Beginning with cutting back my hours at work and creating a schedule of what textbooks I need to read and when. It means so much to me that you’ve read this, good luck.